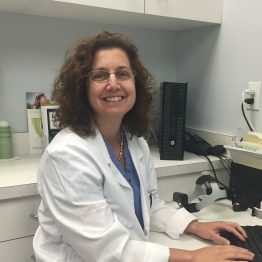 Dr. Chiaramonte is originally from New York. She went from there to undergraduate study at the University of Miami for a BA in Psychology. For medical school she returned to New York. She attended New York Medical College where she earned her Medical Doctorate with honors as well as a Master’s in Public Health. Residency training in Otolaryngology Head and Neck Surgery brought her to Boston University where she graduated with honors in 1999. She has been practicing and living in Worcester County ever since. Her practice is general otolaryngology with a focus on endocrine surgery of the thyroid and parathyroid glands.